A beautifully appointed and EXTENDED home situated in this highly SOUGHT after Road. The property has been finished to exacting standards by the current owners and benefits from entrance hall, downstairs cloakroom, IMPRESSIVE sitting/dining room, study, MAGNIFICENT kitchen/diner with porcelain floors and bi-folds, utility room, principal bedroom and bedroom two both enjoy EN-SUITES, two further bedrooms, SUPERB family bathroom with clawed foot roll top bath, a true feature of the property is the delightful rear garden which measures in excess of 100ft with timber workshop to the rear and OFF ROAD PARKING. Details - For full details please call the office to request the magazine brochure on this home. 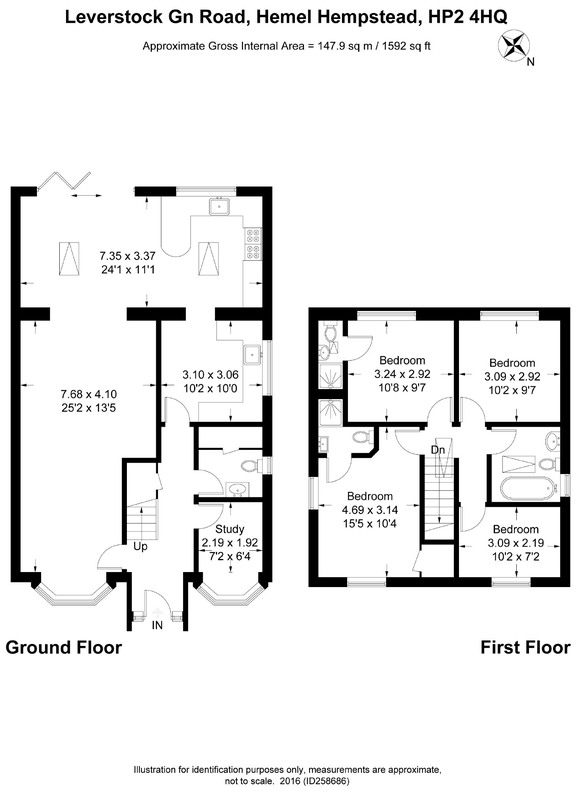 Room Dimensions - Please refer to the floor plan for room dimensions.